The NTSE exam is conducted for class 10 students in India. The exam consists of two sections – Mental Ability Test (MAT) and Scholastic Ability Test (SAT). To prepare for the National Talent Search Examination, candidates are advised to give as many mock tests as possible to get an idea of the questions asked and also analyse their preparation level. Take the test now ! – Free NTSE Mock Tests and Analysis. Go through available test options and pick the one best suited for your preparation. Click on “Go To Test”. You will reach the relevant mock test page. Read the instructions carefully. Click on “Start Test”. Your first question will appear on the screen. 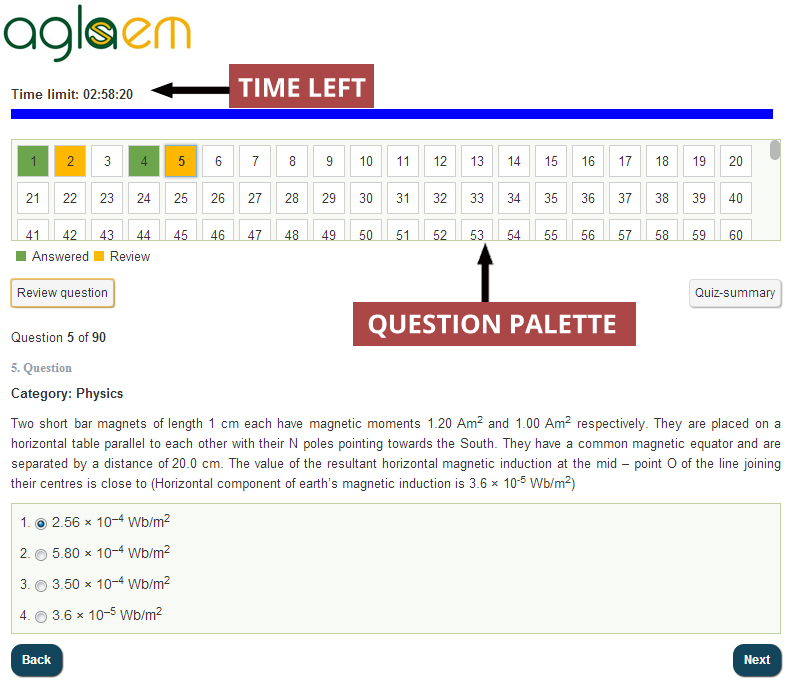 Once you have answered a question, click on “Next”. At the end of the exam, you will be given a detailed analysis of your performance. NTSE Mock Test allows all the NTSE aspirants to practice for the NTSE exam. Candidates can use the Mock Test for NTSE to know the instructions, the procedure for the NTSE exam. You are advised to take the mock test in a exam center simulated environment for accurate analysis. At the end of the exam, you will be given a detailed analysis of your performance in various sections and subjects. Don’t forget to add your name to the leaderboard to know where you stand!